World of Games 2.0 hosts a wide variety of events that anyone can enjoy! Ranging from Dungeons & Dragons campaigns, to Structured Magic: the Gathering events, to Free Comic Book Day. World of Games 2.0 offers an event for most everyone to enjoy! To stay up-to-date on the events going on at the shop visit the Calendar page or Like us on Facebook or follow us on Twitter. If you have a video game or movie that has scuff or scratch damage, World of Games 2.0 can help! 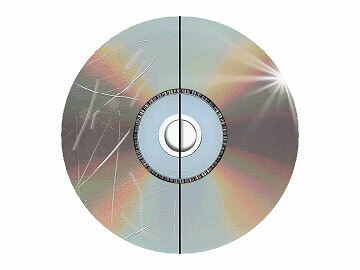 Using our Disc Repair machine we can repair the damage your treasured movies and video games have. Whether its Vintage Video Games, Movies, or Software Discs, we can repair the disc back to a usable quality. Like us on Facebook or follow us on Twitter to stay up to date on what's going on. 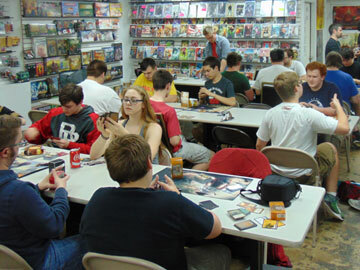 We are a proud member of Wizard's Play Network to help make our Magic: the Gathering events possible. World of Games serves the Collectible, Vintage, and New Video Games, Comic Books, Figurines and Miniatures, Role-Playing and Board Games, Sealed and Single Trading Cards needs of the Twin Cities Southern Metro Area including Apple Valley, Bloomington, Burnsville, Eagan, Lakeville, and Savage Minnesota and the surrounding areas. This Website is Powered by Zanitu Software.